Johannes Debus begins with Brahms’s colourful variations on Haydn’s ‘St Anthony Chorale’. 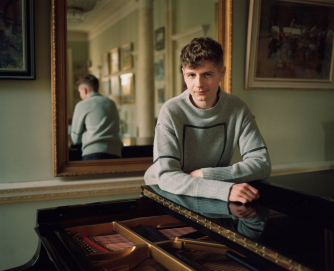 He is joined by the young piano virtuoso Pavel Kolesnikov, winner of the prestigious Honens Prize 2014, for one of Mozart’s most memorably lyrical and sunny piano concertos. Nielsen’s astonishing Fifth Symphony darkens the mood. The composer saw it as ‘the division of dark and light, the battle between evil and good’. A militaristic side-drum threatens to derail the orchestra before a dawn of hope emerges and eventually triumphs. One of the great symphonies, not to be missed.